Josh will create a Route 66 mural in either the Pearl District or Kendall Whittier. 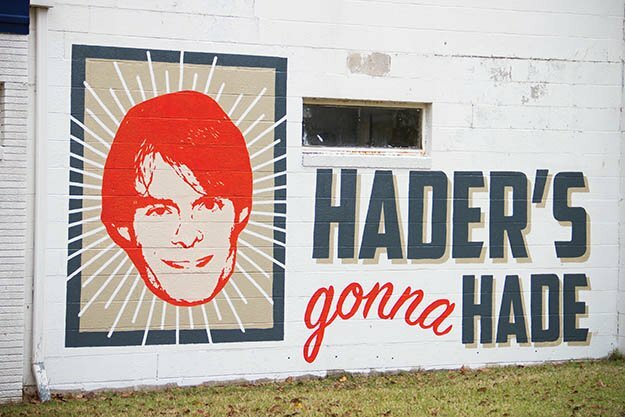 This project will bridge Tulsa's past and present and identify it as a town with grit who surprises the world again. 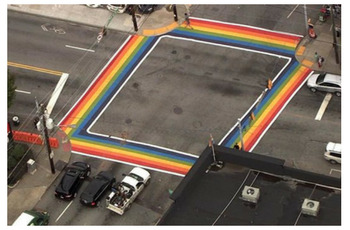 Together, they will paint four crosswalks outside of the OKEQ property in a rainbow design. This project will show that Tulsa is a diverse and welcoming community. Tulsa would be the only city in Oklahoma with a rainbow sidewalk! *Conditionally approved pending city approval. Ricardo will create a section of the IDL that highlights most of Tulsa's skyscrapers. The Tulsa Foundation for Architecture will house the model, with the goal to develop an ongoing partnership with Tulsa Public Schools students to build extensions of the the model over time. Francisco is leading a diversified committee to produce a monthly, international festival in East Tulsa including food trucks, live music, vendors, and more. Paulina Baeza (Incog) is co-chairing this event, as it fits into an East Tulsa master plan. Multiple cultures will be involved to highlight the diverse area of East Tulsa. Chris is working closely with Greenwood Cultural Center and the Race Riot Commission to design a mural that is inviting and historical to the neighborhood. He is co-painting this mural with "Scribe", a famous graffiti artist from Kansas City. The Outsiders House Museum has garnered international acclaim from fans of the novel and cult classic film. With our funding, this project will now include the use of a vacant lot next to the Curtis brother's home for events and movie screenings. Kitchen 66 Food Truck. Tulsa's kickstart kitchen will soon get four wheels thanks to funding. With a truck at their disposal, food entrepreneurs will be able to test out new concepts and service models. Parking Lot Art Three years ago, Tulsa won a not-so-presigious "Parking Crater" award for our sea of endless lots downtown. This grant will fund an art project by Carolyn Wheeler to help reverse that perception. Rainy Day Poetry Rainy days don't always have to be gloomy, and that's exactly what Arrika Finn seeks to prove. At several key downtown destinations, local poetry will be written in paint only visible when water hits it. #TulsaFlag The City of Tulsa's flag was described as awful in a TED Talk. The #TulsaFlag team wants to change that with a dedicated campaign to design a new one. This project is well underway: visit tulsaflag.com and give your input on what the new flag should look like!